What is the Yu-Gi-Oh! Open Tournament? The Yu-Gi-Oh! Open Tournament (YOT) is a new series of major tournaments to be held in the Asia region, where duelists from the Asia region and around the globe can compete for fame, glory and great prizes. These tournaments are a great chance for all players to meet up to duel, trade and also meet up with like-minded friends. Aside from the main tournament, there are other public events, such as the Asia Premier, and chances to get limited edition accessories. It is a weekend not to be missed by all Yu-Gi-Oh! Fans! To enter the event venue at 09:00 a.m., use the entrance located next to 7-11 on level G and inform the staff that you are participating in the Yu-Gi-Oh! event. 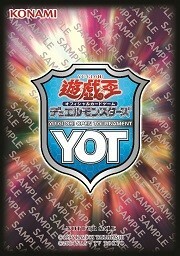 All YOT – Malaysia 2019 (YOTMY 2019) tournaments will be Advanced Constructed format events, using the latest Forbidden & Limited Cards List, where only OCG Japanese, Asia-English or Traditional-Chinese cards can be used in the tournament. Pre-registrants will be able to enter at a discounted registration fee of Ringgit $125 for the YOTMY 2019 Main Event and Ringgit $75 for the YOTMY 2019 Asia Premier. Once you are registered, you are officially entered into the tournament and will not need to register again on Saturday, saving you time from queuing up and keeping you fresh for the tournament. Local Malaysia players may enquire with the following local official stores regarding pre-registration. All other players may pre-register at the Last Chance Regionals venue on 5th April (Friday) from 1 p.m. to 7 p.m. with documents proving your identity to pre-register. Pre-registration for the Asia Premier will also be available at the event venue on 6 April, please look out for announcements. Be prepared to present your Konami Card Game ID along with your name at registration. If you don't have a Konami Card Game ID, you can register for one here. 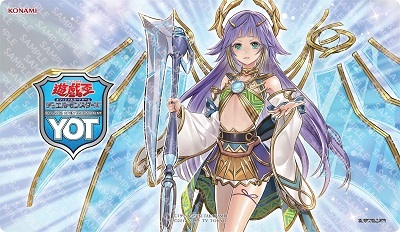 Decklist collection will be done during the player meetings. Decklists must be completed with all contents of your deck (Including Main, Side and Extra deck). You can get a Deck List form by downloading it from here. You should bring any tournament supplies you will need; paper and pen to track Life Points, dice or counters if you are using cards which require them, extra sleeves to replace any that become damaged, and so forth. Calculators can only be used to calculate Life Points but recording must be done using paper and pen. All cards in your deck (including Main, Side and Extra deck) must use card sleeves. Double layer deck sleeves are allowed, provided the outer layer must be a transparent card sleeve (Without any designs). Players must use the same color protector for their deck and side deck, and must use a different color protector for their extra deck. 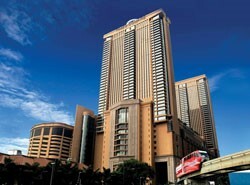 The Regionals are a series of swiss format tournaments that are held around the Asia Region countries. 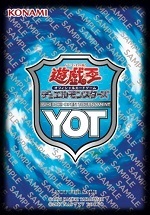 Through the Regionals, duelists will get a chance to prepare for the upcoming YOT, and the winners will receive byes in the YOT main event and receive the limited edition sleeves from the upcoming YOT. *Byes cannot be accumulated. E.g. If you win champion / 2nd place at 2 different Regionals, you are only allowed to get a 2 round bye during the YOTMY2019 main event. Also, players who won the free entry or byes are still required to register for the main event. ** Booster packs prizes pool will be equal to the number of participants divided by 2. 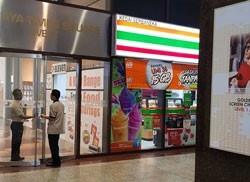 Distribution method will be decided by the stores organising the event. Prizes listed above are for minimum of 16 and above participants, and are subject to change. 1,Duelists can obtain Byes for the YOTMY 2019 Main Event through Regionals. 2,Duelists who have won Byes are still required to register for the tournaments. 3,If you have have received Byes and have already pre-registered, you may choose to report to the YOTMY 2019 Main Event day (6th April) by 12 noon to the judge counter together with your decklist. Participants who report late will receive 1 match lost as penalty. 4,If did not pre-register, you are required to register at the event day itself (6th April) at 9am. You are not required to stay on site, but we strongly recommend that you do, especially if your children are young or this is their first event. Please know that the tournament staff cannot be responsible for looking after your children, or their possessions. Always make sure your child has a way to contact you, and is provided with any necessities such as food, drink, or extra money if you do not wish to remain in the tournament area.